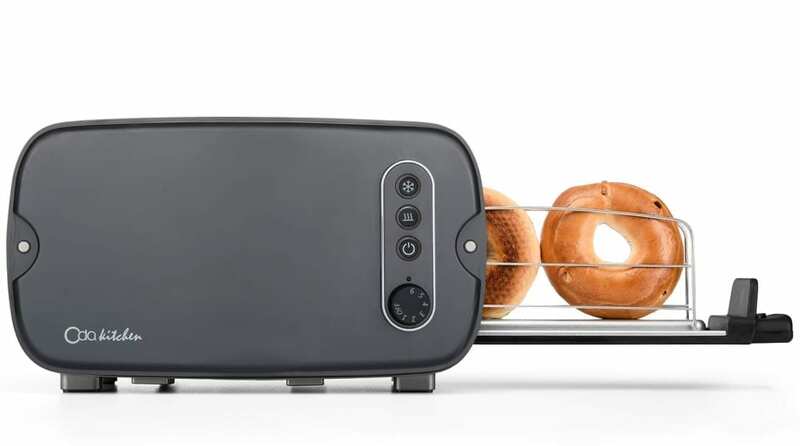 Side-Loading Toaster — The long wide slot has big inner space for large bread slices or all type, shapes bread. Unlike standard toasters which are top loading. Easy to Clean — Removable crumb tray is easy to clean after toasting, just pull out and wash under tap water. With the side entrance you can view how the bread is toasted.